During my restorations i have had made all mecatecno , merlin, alfer and sponsor decals at mucho euro ! If you want a copy then please email me . Sponsor companies start , go bust , change name , get amalgamated , rebrand. Here is a selection of the main sponsors at the time. If you can think of any more then please let me know. They are in no particular order ,other than thier status in my own mind. 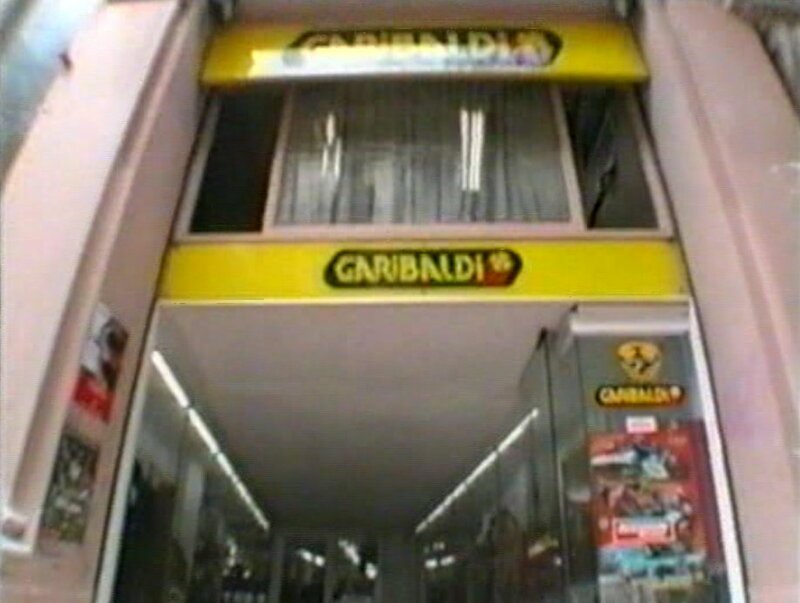 Garibaldi were a major sponsor of Trials riders at the time and well into the 1990s. The company manufacturers Trials clothing in Spain. It doesnt seem to ever have reached the UK. direction of the workshop, and Albert Casanovas, as sales manager. novadades and surprises you with very pleasant. The inauguration was attended by a large number of runners. fabricantes lmportadores and journalists. Our best dsseos for mile 2. Here is the infamous KM.2 trials shop as it stands today in Mollet de valles , Barcelona. Nagesti are an aluminium forgers in Barcelona Spain. Without nagesti i the World wouldnt have noticed Merlin and Mecatecno.They made the alloy and magnesium hubs for the famous 3 and 6 spoke wheels.They also supplied the spokes , but bought the rims from Akront , the HUGE Barcelona based company that supplied all of the wheel rims to all of the Spainish Motorcycle industry.They have now gone. Galfer at the time were the main supplier of Brake pads and discs to the Trials factories in Spain. There logo was seen on many riders bikes. The company is still going strong. 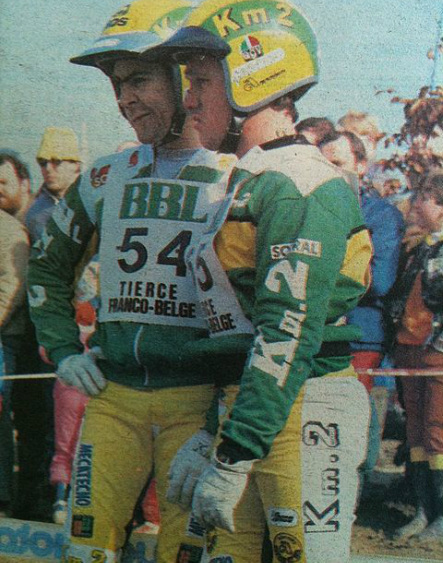 Ducados were and still are a cigerette manufacturer.They were a major sponsor of Trials in the late 80's and early 90's sponsoring the Spanish Gas Gas Trials team.Here is Tarres displaying his sponsors including Garibaldi.